Campervans for sale at auction. Cheap prices. Campervans make a solid choice when you want to have the freedom to move from place to place but have your home comforts with you. Get one with a good engine and it'll do you proud. There are so many to choose from, each with their own strengths and weaknesses. We list a few currently for sale by auction below, which is a great way to get a bargain. While the price can be interesting, consider the overall comfort of the van. Look at reviews and see if you can get to try one out before you buy. Even a visit of the inside of the van may put you off in before you start! The living space may look good at first but consider spending a week or more in there which is often the case. Picture the beds extended and then imagine cooking a meal in the van, you may not want to be closing the beds every morning. 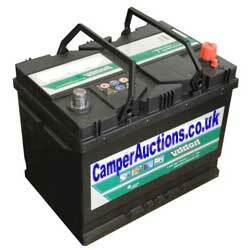 Make sure you factor in the full running costs of a campervan. Those with a thirsty engine are often resold pretty quickly. You also might have to do some work on an engine with higher miles so check the service history, the MOT failures and advisories. Running costs aren't always the 'be all and end all' as some folks will only do a few trips in a year. Be realistic and work out what your average mileage may be and equate that to a yearly fuel price figure. You may pick up a less economical model (eg petrol instead of diesel) for significantly less and that may be a better buy overall. Spend some time speaking to other owners about their experiences with their own vans. These are the people who best understand the shortcomings of holidays with this vehicle. Listen to their advice and if they suggest another vehicle they would aspire to then see if your budget could run to this. After this, it's magazine reviews and articles which can really help build a picture of what to expect. Invest in a couple of current issues to see what appears to be popular and reliable, you'll soon become an expert! Once you have bought something though, enjoy it, use it as much as possible and your life will certainly change for the better.